Western Electric Company. @1964. Very Good+/- hard cover. 8vo,cloth,115pp. no dust jacket. light rubbing,light shelfwear,cover. clean,tight,text. business. Price/Stern/Sloan. 5th thus,1974. Very Good soft cover. 8vo,soft covers,91pp. edgewear,browning cover. Prima Publishing. 1st printing,1991. Very Good+/Very Good+ hard cover. 12mo,boards,304pp. light edgewear,light rubbing,dust jacket. back foot corner bumped cover. clean and tight. business. Prima Publishing. 1st printing,1991. Very Good/Very Good hard cover. 12mo,boards,304pp. edgewear dust jacket. arithmetic problems back end page. clean and tight text. business. Crowell. 1st printing,1964. Very Good/Good+ hard cover. 8vo,cloth,396pp,illus. edgewear,small tears,chips,yellowing dust jacket. dingy topedge. corners bumped. The Swallow Press. 1st printing ?,1973. Very Good/Fair hard cover. 8vo,cloth,375pp. edgewear,scrapes,chips,small tears,bite top back,price clipped,dust jacket. corners bumped top. clean and tight text. small doodle front end page. literature. Kodansha International. 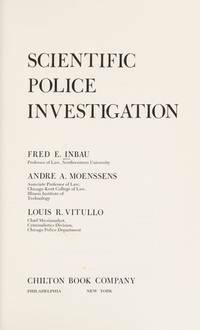 1st printing thus,1991. Very Good-/Very Good hard cover. 12mo,boards,184pp. edgewear,rubbing,scrapes,dust jacket. light shelfwear,slight tilt spine,cover. text tanning,clean,tight. first editions. mystery. Crown. 1st printing,1988. Good+/Good+ hard cover. 12mo,boards,229pp,illus Hokanson,Lars edgewear,rubbing,dampstains,price clipped,dust jacket. non-author message front end page. water marks spine cloth,twist to cover. edges yellowing,clean and tight text. nature. Crown. 1st printing,1988. Very Good/Very Good- hard cover. 12mo,boards,229pp,illus Hokanson,Lars. edgewear,small tears,chips,scrapes,rubbing,dust jacket. corners bumped,light shelfwear,cover. clean,tight,text. nature. Crown. 1st printing,1988. Very Good/Very Good hard cover. 12mo,boards,229pp,illus Hokanson,Lars edgewear,tiny chip foot front corner,light rubbing,dust jacket. light shelfwear. edges yellowing,clean and tight text. nature. Pantheon. 1st printing America,1976,review copy. Very Good/Very Good hard cover. 12mo,cloth,294pp. edgewear,nicks,rubbing,dust jacket. slight twist spine. clean and tight text. health. Heydey Books. 1st paperback thus,@1980. Very Good soft cover. 12mo,soft covers,192pp. edgewear,corners turned,scrapes,cover. corners bumped,clean,tight,text. sociology. Wolfhound Press. 2002. Good+ soft cover. 12mo,soft covers,308pp. spine creases,corners wearing,rubbing,scratches,cover. some gutter stress,clean,text. irish. Viking. 1st printing,1985. Very Good/Very Good hard cover. 12mo,boards,286pp. edgewear,nicks,small tear taped inside foot front,dust jacket. shelfwear. dustsoil topedge. sociology section. The Free Press. 1st printing,@1972. Very Good-/Good hard cover. 8vo,cloth,313pp. edgewear,tears,chips,tanning,scratches,dust jacket. owner name inked over inside front,spine cocked,cover. edges dingy,yellowing,clean,tight,text. psych. Chilton Book Company. 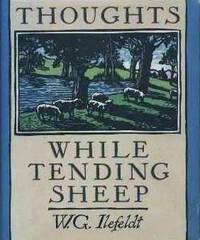 1st edition,1972. Very Good/- hard cover. 8vo,cloth,204pp,illus. no dust jacket. light shelfwear & rubbing,cover. light yellowing edges,clean,tight,text. true crime. Michael Joseph. 1st printing,1965. Very Good/Good. 4to,cloth,319pp,illus. edgewear,chips,tears,yellowing,crease front flap,scratches,scrapes,dust jacket. shelfwear,corners bumped,cover. ripple,margins yellowing,clean,tight,text. design. Ballantine. 1st thus,1975. Fair paperback. 16mo,paperback,386pp. this is not "private lives of eva & adolf" if it says so amazon changed the title. this is "eva and adolf" edgewear,spine creases,corners curled,light rubbing,cover. stress at gutter from spine creases. text tanned.